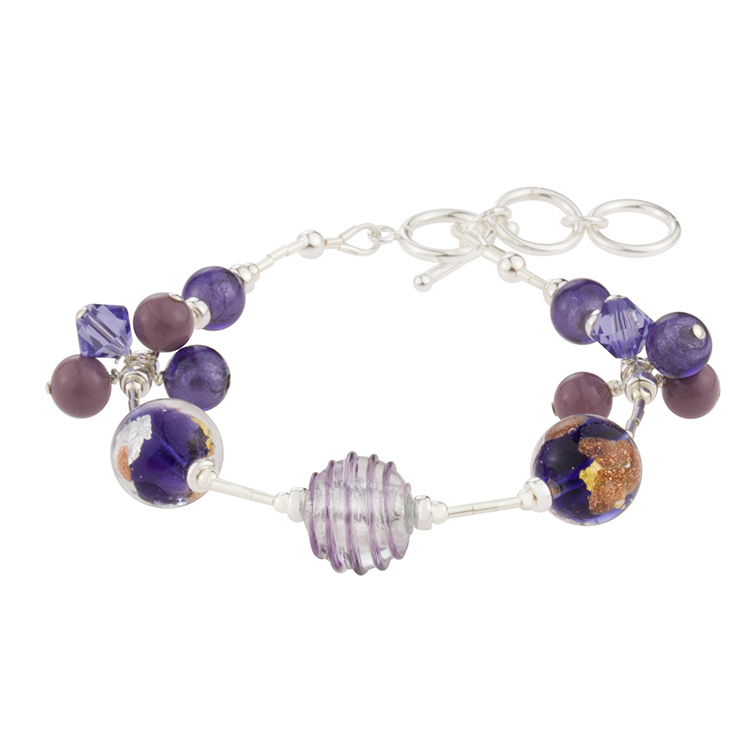 This Murano Bracelet features handmade Venetian Beads in Blue Inchiostro, a plum purple Murano Glass with .925 Sterling Silver and 24kt Gold Foil decorations. Clusters of Swarovski Crystal and small Murano Glass Beads complete this melody.The bracelet is 6 1/2 Inches with 1 Inch Extender. If you need another size, please contact us. We assemble these here in our studio.